Our California electrical CE courses are approved to satisfy your continuing education requirements. Our company is registered as 1 Attempt (At Your Pace Online) with the ECU. Complete the continuing education to renew your CA electricians license today. All of our courses include the most current 2017 NEC code content, and can be completed At Your Pace Online to help you meet the state's requirements. Once you finish your class you will have an official certificate of completion to save for your records. 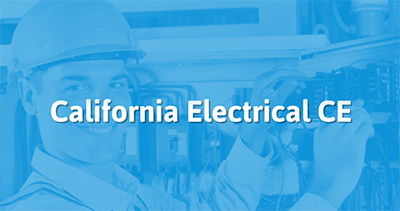 In the state of California, electricians are required to obtain 32 hours of electrical continuing education. CE is required every 3 years prior to license renewal. This online training course is for California Electrician continuing education. Our online electrical course is approved by the California DIR (ECU) and will satisfy all state requirements. This online training course contains continuing education content for electricians in California. This course is focused on fire/life safety. This course is approved by the California DIR (ECU) and will satisfy all state requirements. This online electrical course is approved by the California DIR (ECU) and will satisfy all state requirements. These California electrical continuing education courses are presented by At Your Own Pace. Our 8 hour course examines changes to the National Electrical Code from 2014 to 2017 (8 Hours). Our online electrical course is approved by the California DIR (ECU). This course will satisfy all state requirements. RE: Letter of Approval for as an Approved Continuing Education Provider for Electrician Certification in California. This letter is to confirm that 1 Attempt/At Your Pace Online, LLC is an approved continuing education provider for Electrician Certification in California. Educational Provider is a community college or public school district or public educational institution, or a state-licensed private post-secondary institution under contract with a public educational institution, community college or public school district, or a private postsecondary educational institution approved or registered by the Bureau for Private Postsecondary and Vocational Education. Under this regulation, this provider has met the requirements under contract with a community college who has reviewed and approved their curriculum in partnership for providing continuing education courses. Approved continuing education providers are listed on our main webiste at www.dir.ca.gov/dlse/ECU/ElectricalTrade.html. 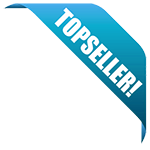 Under Continuing Education Providers for Certification link.